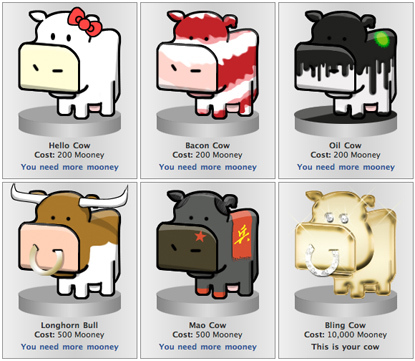 Cow Clicker is a Facebook game about Facebook games. It’s partly a satire, and partly a playable theory of today’s social games, and partly an earnest example of that genre. 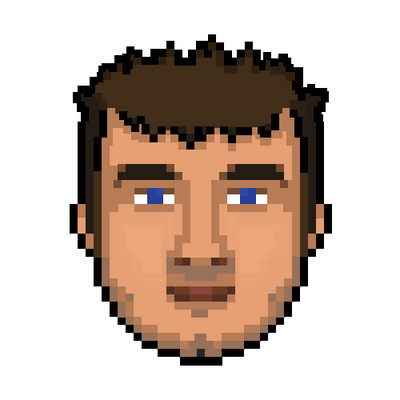 BOGOST: After a while I realized they’re doing exactly what concerned me about these games. They’re, you know, becoming compulsively attached to it. There was one point when I realized that I was now attached to in a compulsive way. I was worrying about what the cow clickers thought while I was away from the game. And that was the moment at which I both felt kind of empathy with the players. And also, I began to feel very disturbed by the product. VOGT: Bogost couldn’t diminish people’s love for Cow Clicker. The game generated its own fan culture. VOGT: Bogost decided that if he couldn’t ruin Cow Clicker, he’d kill it. He got in touch with friends across the world, and had them hide clues in the real world for Cow Clicker diehards to find. Once assembled, the clues spelled out a chilling prophecy. VOGT: When you create something, you don’t get to decide how it will be received. Ian Bogost’s game wasn’t designed to be enjoyable, but it turned out to be possibly the most resonant game he’s ever made. His take on what that might mean is actually pretty optimistic. BOGOST: It shows us how weird and complicated simple things really are. And shows me not that like I’m some sort of brilliant designer who made this thing that was bigger than I thought it was but how resilient and creative people are. I did this thing that was Cow Clicker, and in spite of it, they rose above and sort of made it something more than it really was. VOGT: That’s one way to look at it. Here’s another. You remember that countdown clock? VOGT: Here’s how the Cowpocalypse actually transpired.